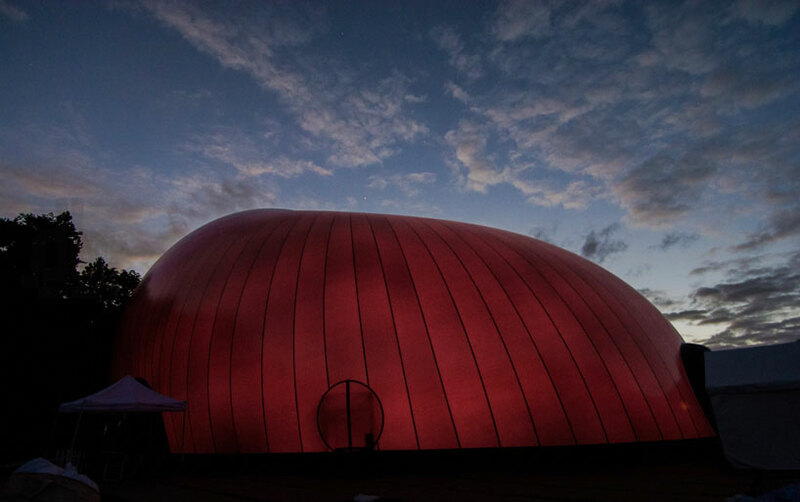 Designed by Japanese architect Arata Isozaki, who teamed with British-Indian sculptor Anish Kapoor, the Ark Nova is touted as the world’s first inflatable concert hall. 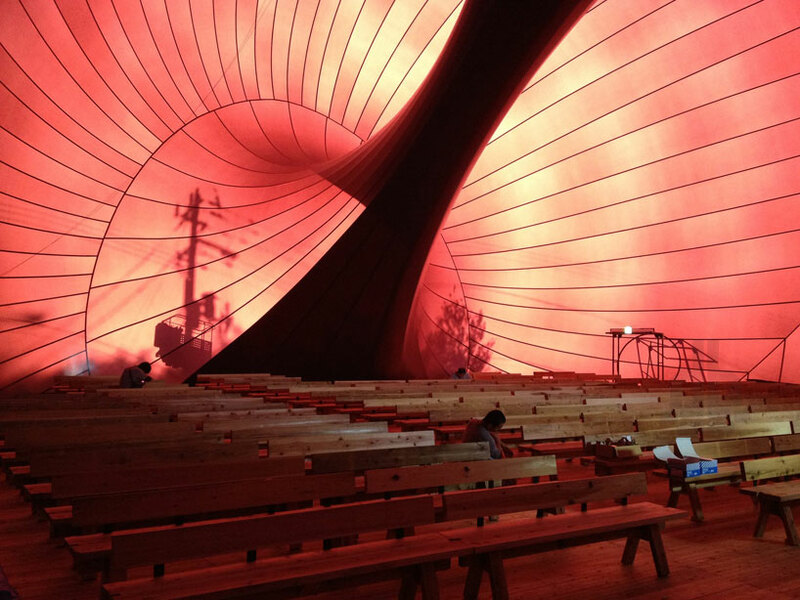 Kapoor is no stranger to inflatable structures, having created the Leviathan in Paris back in 2011. 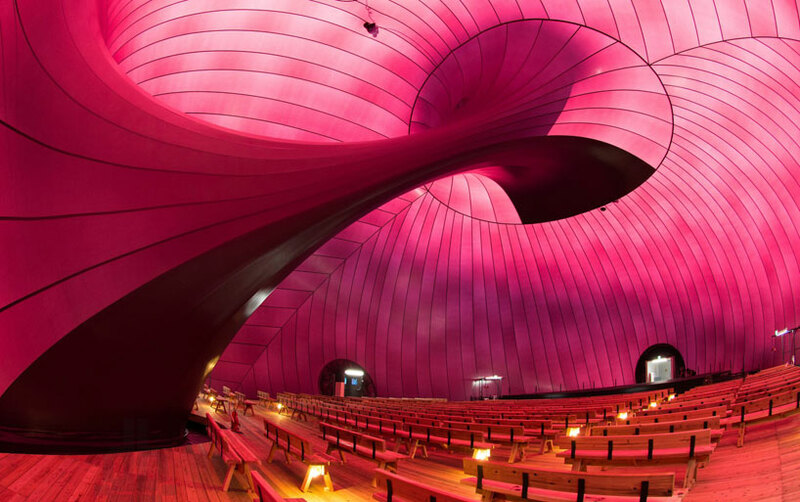 But that structure was designed to stay put inside the city’s Grand Palais, whereas the Ark Nova is designed to travel around Japan for the Lucerne Music Festival, visiting parts of the country still recovering from the tsunami. 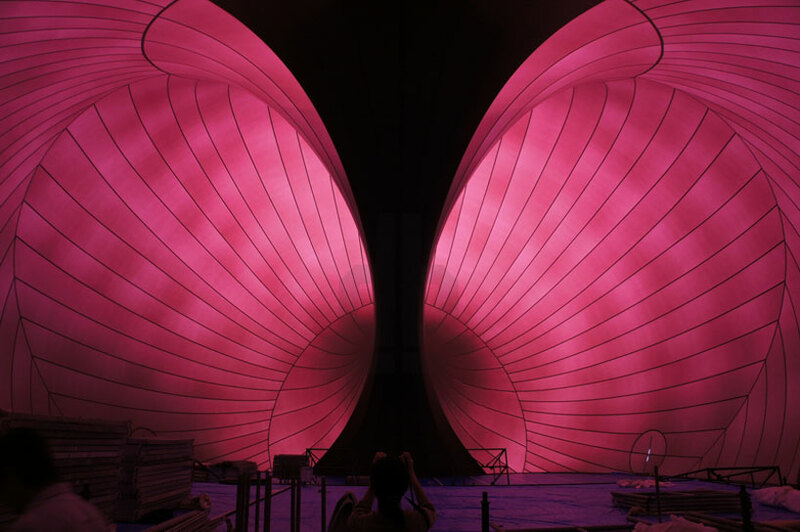 Looking something like a gigantic plum-colored pregnant belly, the Ark Nova takes about two hours to completely inflate, and is capacious enough to hold an audience of about 500. And instead of theater seating, a series of wooden benches crafted from tsunami-damaged cedar trees provide an easily transportable place for people to sit. The concert hall’s unique design not only makes it easy to setup and haul, it presumably provides better acoustics than your traditional tent. And its almost donut-like design results in a built-in support column on the inside, ensuring that it can withstand inclement weather and high winds. Organizers just need to make sure they don’t sell souvenir hat pins or letter openers, and the Ark should survive its tour.